Think you know your riddles? Think you can breeze through this app? Think again! 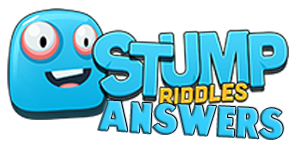 Stump Riddles Answers is your one-stop reference guide for solutions to the levels that give you trouble. When you find yourself stuck on a level, Stump Riddles Answers is here to give you the backup you need to advance levels and keep on moving through the game. Stump Riddles Answers is a fan-driven website for trivia, wordsmith and puzzle enthusiasts. Solutions for every level in the game are in our easy-to-search database. As news or updates develop, we will add them to the site and do our part to keep you informed.